As His Royal Highness the Prince of Wales prepares to celebrate his 65th birthday next week, art fans can head to London’s stylish Belgravia Gallery to view signed lithographs of paintings created by the Prince himself. 18 signed lithographs based on the Prince’s watercolour landscapes are on show at the gallery- some date back to 1990, the year his works first went on show. They feature iconic royal homes such as Balmoral, Sandringham, Highgrove and Windsor Castle. These are complemented by works depicting some of the Prince's favourite places, including Yorkshire, Greece, Klosters and Scotland. 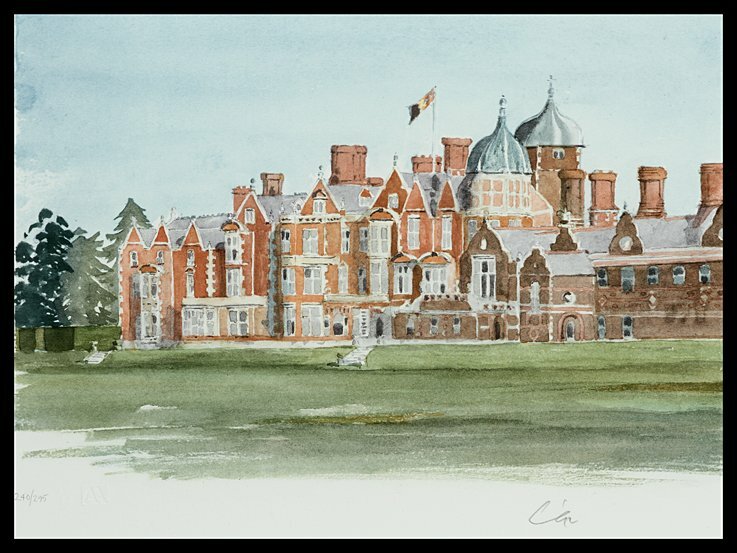 Royalists and culture lovers can view the prints at the gallery alongside a series of etchings created by Queen Victoria and Prince Albert, and for those who want to take a piece of history home with them, prices for the start from £5,000. Sales of the signed lithographs benefit HRH The Prince of Wales's Charitable Foundation and have raised some £4million to date. The royal art will also be displayed at the gallery’s new showroom at 555 King’s Road from 21 November. Established in 1986, Belgravia Gallery is an independent family run business located in the heart of London’s art district, close to Piccadilly. As well as pieces by HRH Prince Charles, the gallery exhibits work by renowned artists, including Rembrandt etchings, British and international artists and iconic figures such as Nelson Mandela. For more information visit www.belgraviagallery.com or call 020 7495 1010.